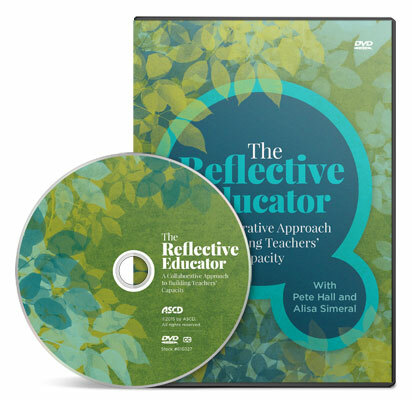 The Reflective Educator: A Collaborative Approach profiles teachers working with administrators and coaches to take charge of their professional growth and move along the path to excellence by becoming reflective practitioners. Capacity building is the focus of Pete Hall and Alisa Simeral's work, and their strategies are becoming the model for instructional coaching in schools across the country. This video takes an in-depth look at a school where three teachers are taking steps to grow as reflective practitioners with the help of Hall and Simeral's strategies. We see them working in partnership with their administrator and instructional coach to make use of Hall and Simeral's Reflective Cycle and the Continuum of Self-Reflection tools. Each teacher is at a different stage on the Continuum and by observing their practice, we'll learn about the specific strategies for growth that each stage calls for. We'll also observe the key role administrators and coaches play in building teachers' capacity for success. We'll see them identifying and nurturing their teachers' strengths to help them reach new levels of professional success and satisfaction. 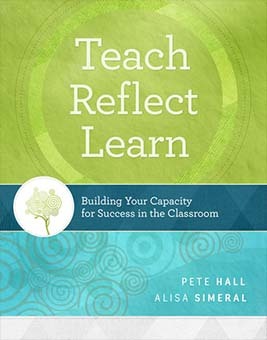 In Teach, Reflect, Learn: Building Your Capacity for Success in the Classroom, you'll find tools specifically made to enhance self-reflection on professional practice, including the Continuum of Self-Reflection and the Reflective Cycle. Educators know that teachers are a school’s most essential strength. 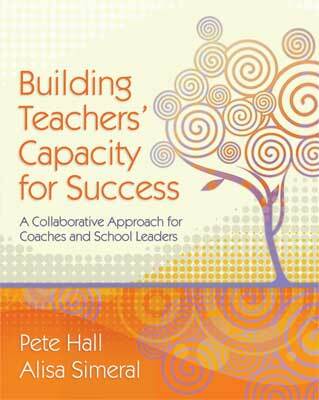 In Building Teachers' Capacity for Success, authors Pete Hall and Alisa Simeral offer a straightforward plan to help site-based administrators and instructional coaches collaborate to bring out the best in every teacher, build a stronger and more cohesive staff, and achieve greater academic success. Pete Hall is a veteran school administrator and professional development agent who has dedicated his career to supporting the improvement of our education systems. Hall currently works as an educational consultant as a member of the ASCD Faculty and trains educators worldwide. Alisa Simeral is a school turnaround specialist and veteran educator who has guided school-based reform efforts as a teacher, dean, and instructional coach. Her emphasis is, and always has been, improving the adult-input factors that contribute to the betterment of the student-output results.